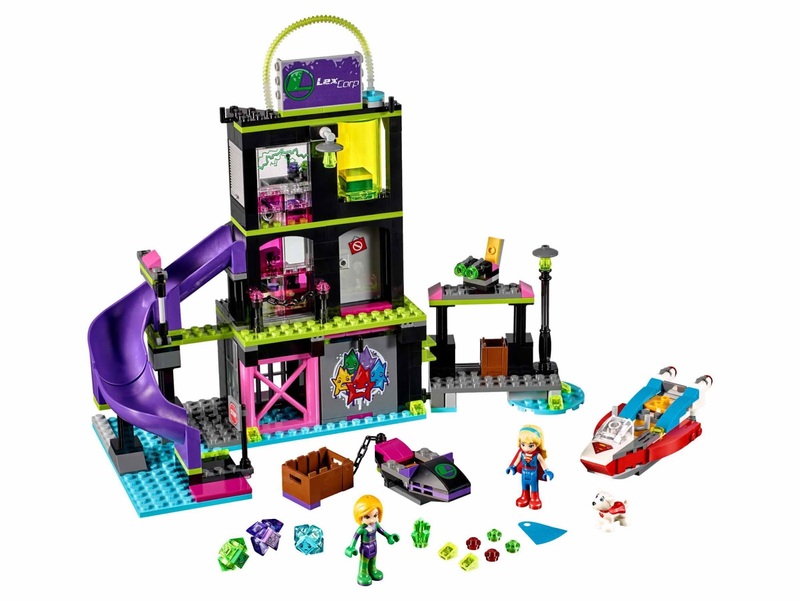 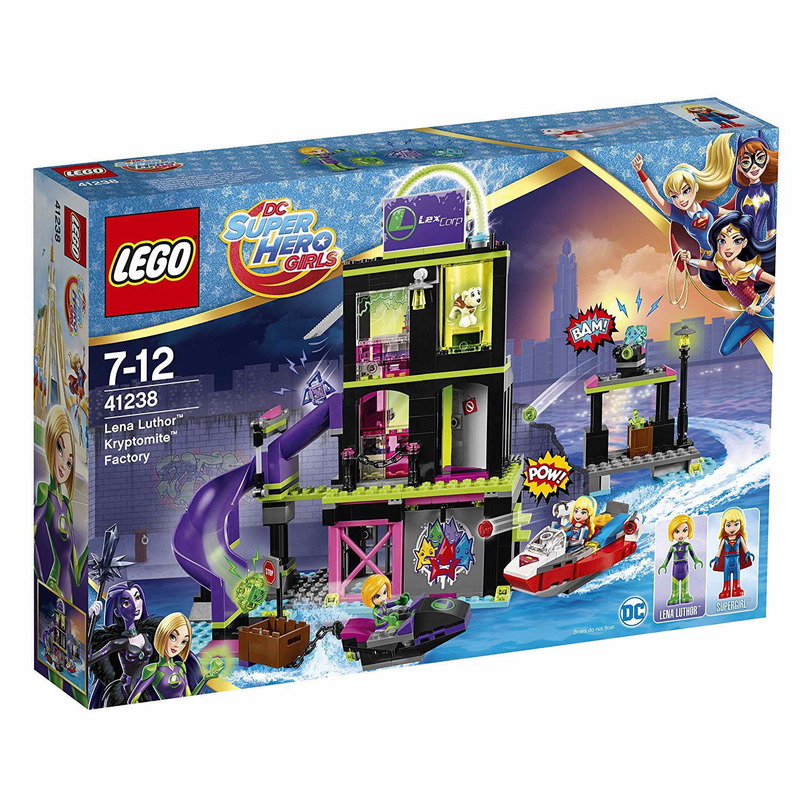 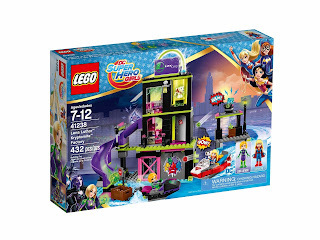 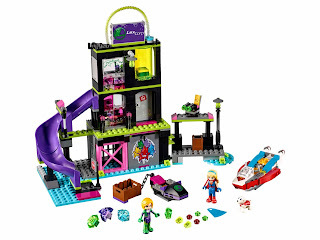 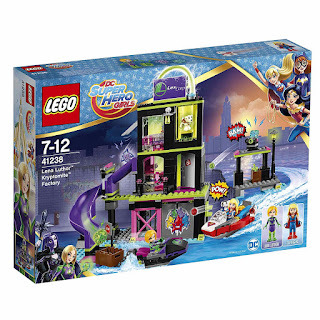 dc superhero girls theme set. 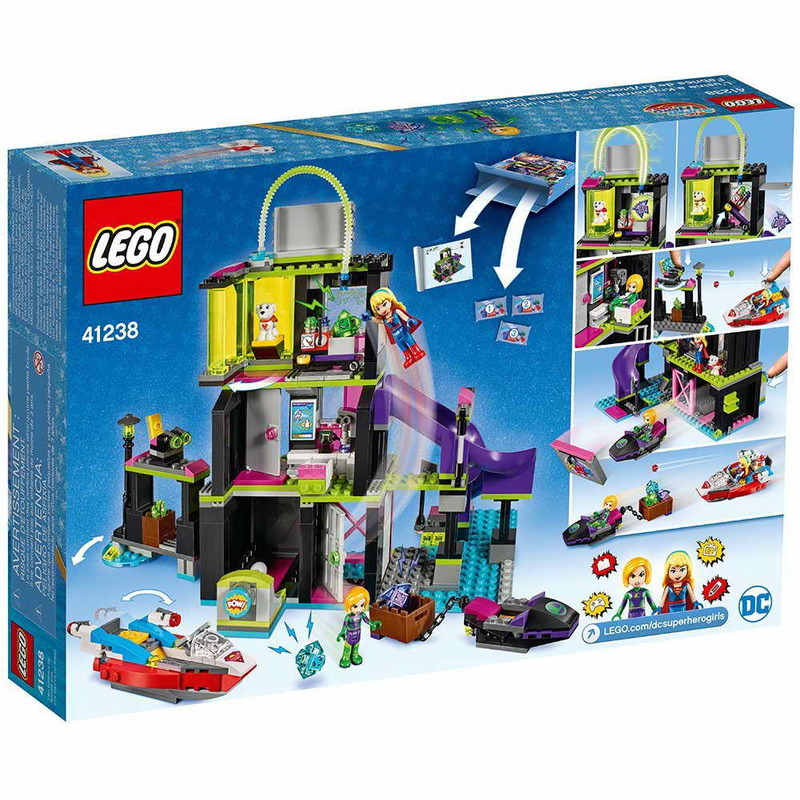 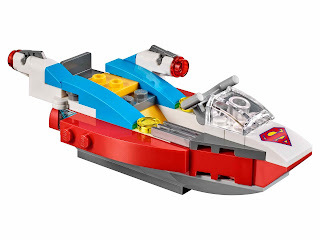 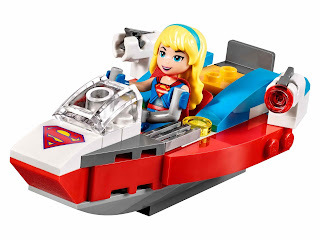 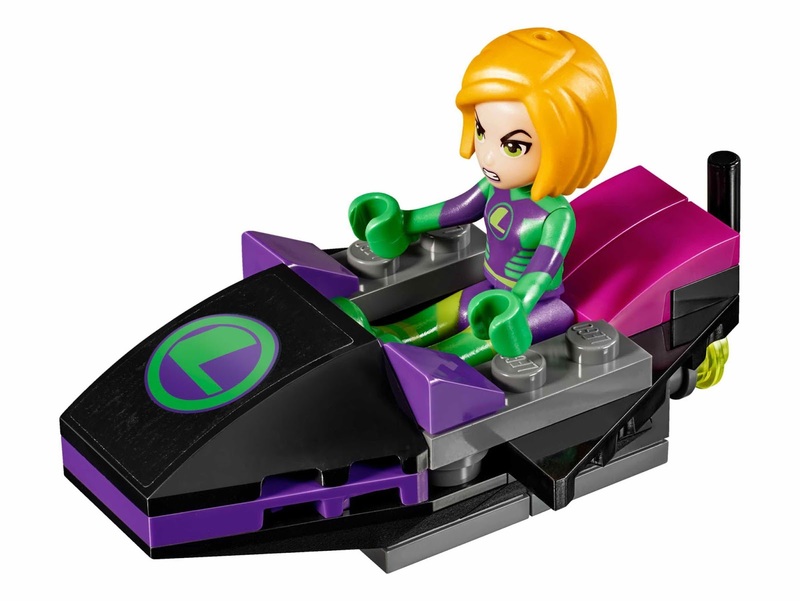 come with a 3 level factory, a supergirl’s jet boat and a lena luthor’s getaway boat. 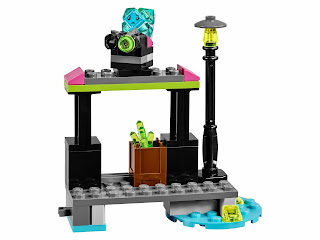 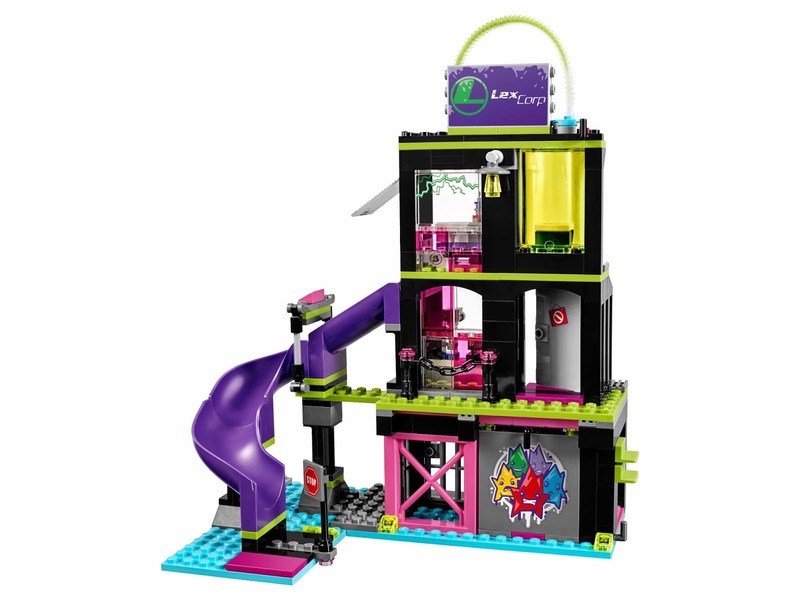 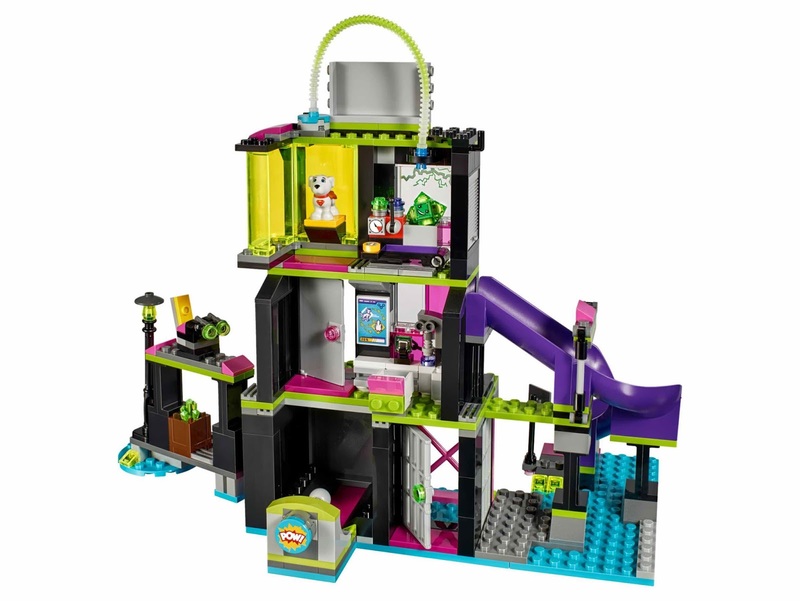 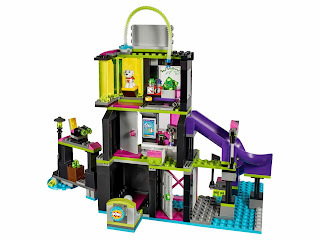 the factory has a lab, a holding cell, a crystal , a kryptomite slide, a power drain room, a graffiti break out door and a kryptomite shooter. 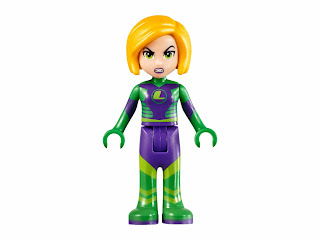 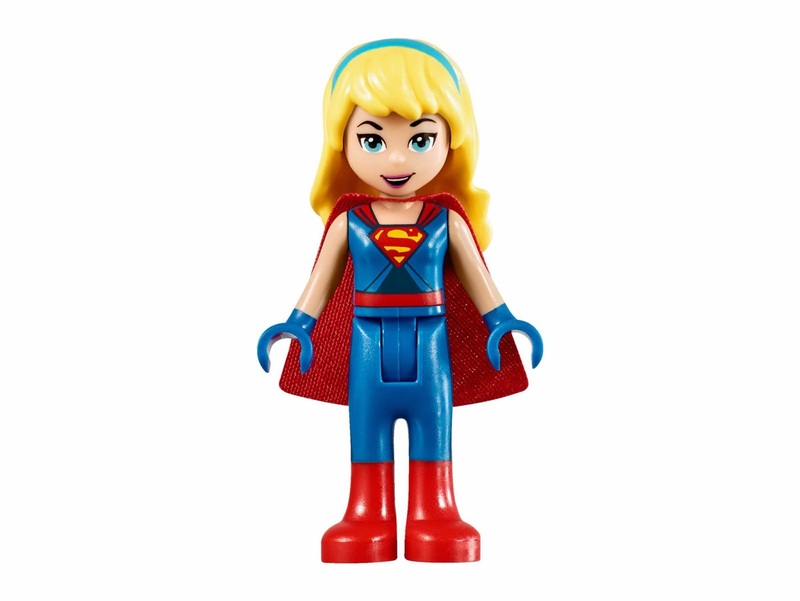 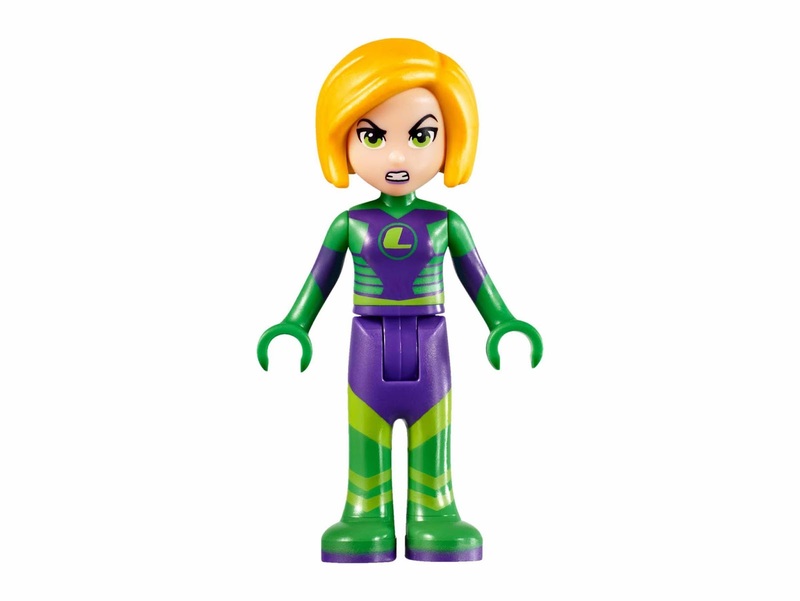 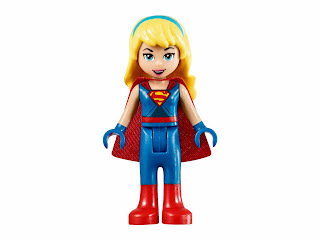 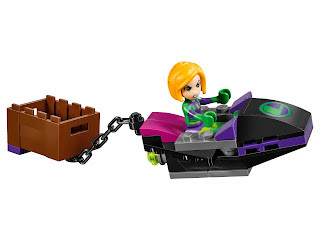 minidoll included a supergirl minidoll and a lena luthor minidoll. 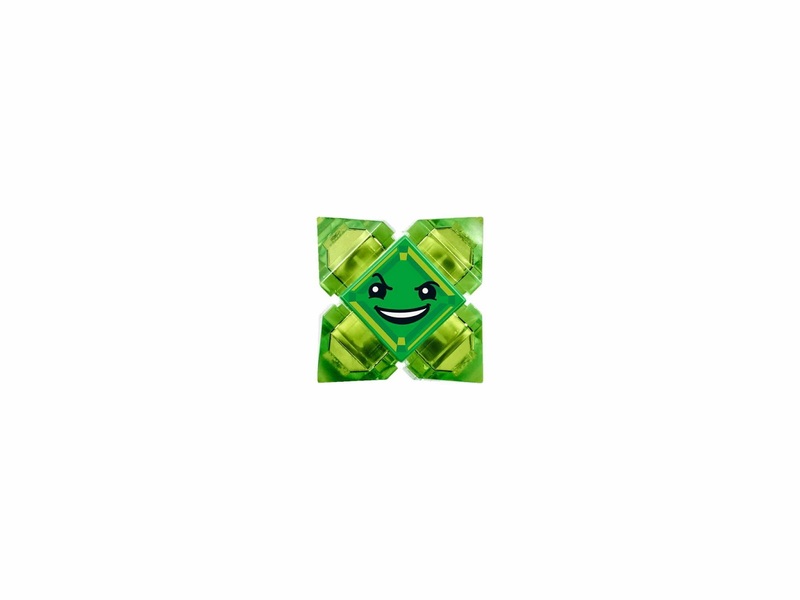 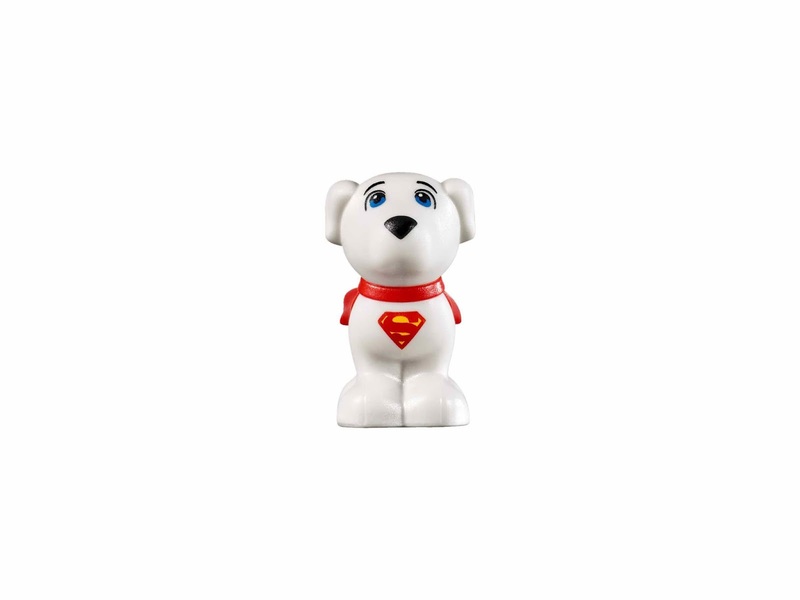 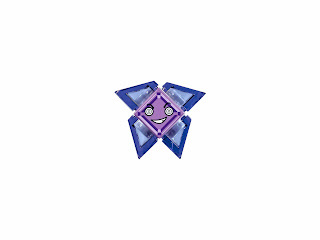 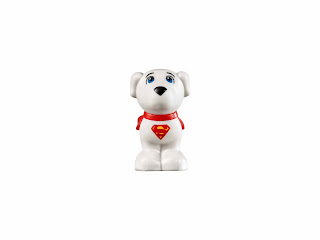 also included a krypto the dog, a purple kryptomite, a blue kryptomite and a green kryptomite.